FilChiNY@viki has informed me that the viki Faith community has started a petition for an English version of the “Faith” novel. Another member in the viki community was in direct contact with Writer Song and her publisher and was able to relay to publisher the international fans appeal for an English version. Apparently the publisher said he/she would consider it so the petition has been started to demonstrate the fans’ seriousness. 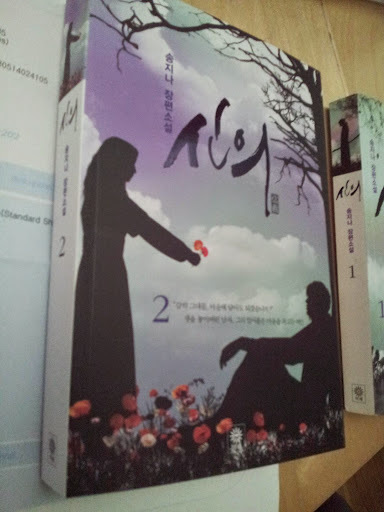 gukja also brought to my attention some excerpts from volume one of the “Faith” novel, posted b y sia3 at Soompi and translated by icesiren. The novel version sounds amazing and an English version would be wonderful. “Here’s an excerpt on GMarket for the Faith Novel. Volume 1 covers episodes 1-3. 천혈을 통과할 때도 그랬다. 최영은 행여 그 여인이 버둥대어 놓칠까 염려했는데 여인은 오히려 그의 품으로 파고들었다. 그 느낌을 왼쪽 팔이 기억한다. 고개를 숙이자 여인의 부드러운 머리칼이 입술에 스쳤고, 그 향기가 더욱 진하게 몰려들었다. 돌아오던 천혈은 오직 그 여인의 기억으로 가득하다. When (he) passed through heaven’s gate, it was the same. Contrary to his worries that CY would lose the woman because of her struggling, in fact she burrowed into his chest. His left arm remembers that feeling. Upon tipping (his) head down, the woman’s soft hair brushed (his) lips, and her scent surrounded them more strongly. The return through heaven’s gate was filled solely with memories of her. 단도를 허리춤에 갈무리하더니 이번에는 은수의 얼굴을 감싸 머리 뒤에 매듭져 있는 재갈을 풀려 한다. 매듭이 옥죄어 있는지 시간이 걸린다. 은수가 참았던 숨을 들이켜자 바로 얼굴 옆에 그자의 숨결이 느껴진다. 어째서인지 울컥 울 뻔했다가 가까스로 삼킨다. After the dagger works at her waist, it releases the gag that was tied behind ES’s head. It must’ve been tightly bound because it takes some time. ES takes a breath and feels his breathing beside her face. Somehow, she narrowly manages to swallow down her tears. 어명을 들었을 때 부서져 내리던 마음이 여인을 붙잡았다. 마치 구명줄을 부여잡듯이. 잘못했다. 큰 잘못을 했다. 어명은 지켰으나 하늘여인에게 주었던 언약은 지키지 못했다. 사실은 어명을 지키기 위해서가 아니었다. 마음이 비틀거리며 실족하는 상태에서 주인인 나도 모르게 옆에 있던 여인을 붙잡은 것이다. 내 마음이 넘어지지 않겠다고 주인인 나도 모르게 반사적으로 그랬다. 그 순간의 눈먼 손짓 때문에 하늘의 여인이 이 땅에 남아버렸다. The heart that had smashed to pieces upon hearing the royal decree, grabbed hold of the woman. As if grabbing hold of a lifeline. I’ve done wrong. I’ve done something very wrong. I upheld the royal decree but did not keep my promise with heaven’s woman. To be honest, it wasn’t to uphold the royal decree. When my heart began to falter and slip, without my knowledge, it grabbed hold of the woman next to me. So that my heart would not fall, without my knowledge, it did that, reflexively. In that moment, heaven’s lady was left on this earth because of my blind actions. 여인이 어이가 없다는 듯 입을 벌리고 최영을 본다. 그 무방비의 입술이 눈에 들어온 순간 최영은 포기했다. 더 못하겠다. 이렇게 가까이서, 이렇게 여인의 향기가 가득한 거리에서 더 성을 낼 수가 없다. 최영은 훌쩍 몸을 일으켜 돌아선다. 몇 걸음 움직여 숨을 쉴 수 있게 거리를 벌린다. 71. This question was about how Writer Song felt about the low ratings and wondered if the story changed from what she planned in the beginning. She also asked how Writer Song felt after she watched the show. Truthfully, I still don’t know. I don’t know if it was professional of me to accept all that so the drama can air or if it was unfitting for a craftsman at my level. I previously thought maybe Writer Song was trying to hint at another timeline caused by Eun-soo’s travel to the past-past with this scene of a rainless day, as opposed to the rainy day portrayed in the episode. But now I am thinking it was just another day on the road of the same journey in the same timeline as episode 1, with no special meaning to fact that it didn’t rain. Need novel now for clarification! 73. 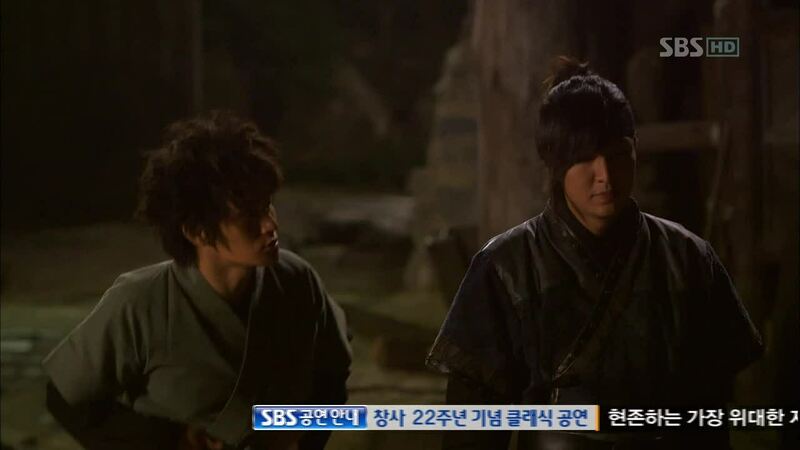 This person asked where Writer Song got her inspiration for Choi Young’s character. She also asked why Eun-soo was always so “bright.” This type of character is not very popular these days and she thought that if Eun-soo had been a bit more calm and serious, the viewers would have responded more positively. 74. This person asked if the story kept on the same track Writer Song had planned from the beginning. Writer Song replied that from episode 1-8, the scripts were written as she first planned but for rest, she doesn’t really know. She will try to figure that out. 75. This person asked about the scene in episode 16 when Young said to Dae-man that Eun-soo “has no heart.” She didn’t really understand the meaning of that dialogue. Yes, that is something that Lee Minho excels at. I particularly saw it in this scene. 79. This person was sad that the last hug scene in the script was not put in the broadcasted version. She asked if there was any particular reason for this scene being cut out because she heard rumors about Kim Hee-sun’s husband not liking it. Writer Song replied, “That’s not likely. Kim Hee-sun and her husband are not like that. They probably decided at the location that the emotions were not suited for a hug. It’s because the mood on the set can be different from the writing. The emotions present on location are correct most of the time. To be continued with Part 6…Man, she answered a lot of questions. jooni, where is Q&A part 6? Book 2 is now available at Gmarket that ships internationally but impossible to place a purchase order with all the errors. I just spoke to a bookstore called 반디북US in LA that has the book. The price is $14.51 plus shipping $4.99 comes down to $19.50 which is less then from GMarket. I will be getting the book in 1 week so I will report back is everything works. Agnes I know. I am learning Korean to read it 🙂 is a long process but I rather do that in the meanwhile while waiting for it. I will continue to hope for the English version, I posted at Song Ji Na’s website (in Korean) about the i-petition link. Yeah that’s also my goal, but i’m still in the early process to learn it 🙂 or another option : hire Korean translator maybe? hihi..
it’s unlimited voting, so let’s go vote! 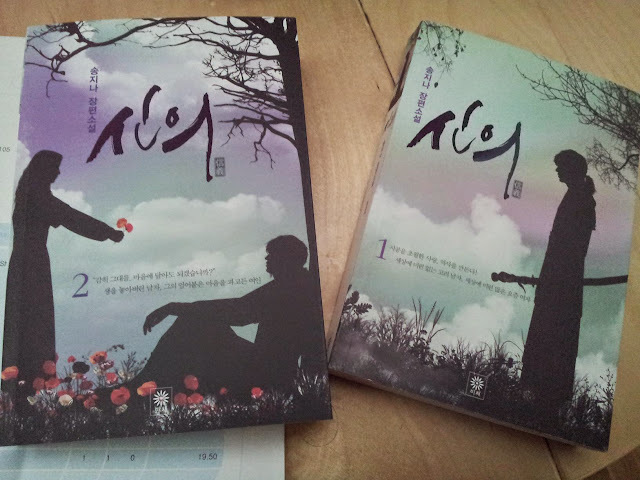 Newsflash : Faith is number 1 now in Seoul International Drama with almost 15.000.000 votes, yippie! Book 1 was very similar to the drama. There was more insight into the characters thoughts but nothing that changed the story as it was filmed. Film the petition as the more people do it hopefully will grab the attention to make a translation. I meant….Sign the i- petition…. Agnes, the Seoul international drama voting has not started yet. When you click on the heart, you are just saying that you like it. Voting starts sometime in July. Watch out for it. That is the important vote. I hope Faith wins then. Hi, Joonni, thank you for having the blog. 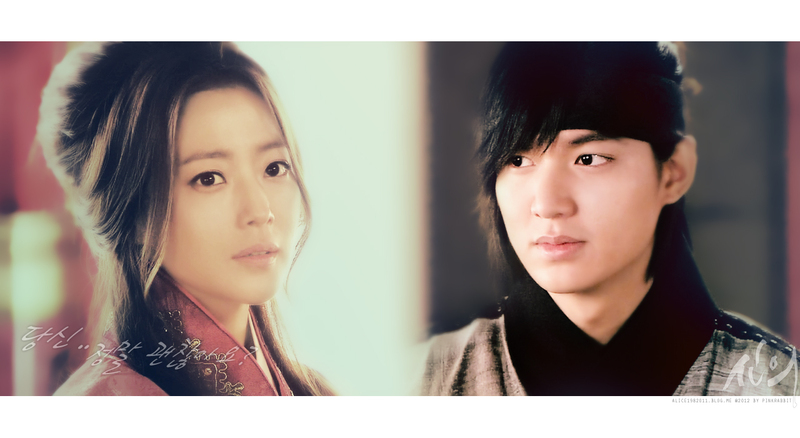 the recap and review for the Heirs and Faith is wonderful. Can you update part 6 when you have a chance? Wish you all well. thank you! I love the Q & A of the Song writer. I just saw Faith for the second time and I can only say that I have a huge to her debt, because although I have read many stories that have been brought to the big screen, “Faith the Great doctor” came into my heart to stay forever. Greetings from Mexico!